Meryl began her career 18 years ago in her home state of Kansas, where she had the opportunity to work with many diverse and talented stylists. She attended Behind the Chair with her hair idol, celebrity colorist Beth Minardi. Behind the Chair is an in-depth, week-long program at Beth's salon on the Upper East Side in Manhattan. She was able to shadow Beth and her amazing team, and see the ins and outs of a busy, high-end NYC salon. She also attended the Redken Exchange on 5th Avenue in New York. She took a 3-day razor course, taught by Ellen Lawlor, Teresa Mockler, and Sam Villa. Other educational events she has attended include the Redken Symposium in Las Vegas, the Color America Conference in Chicago, Fall Style Trends with Carmine and Beth Minardi in NYC, advanced Aveda classes in Denver, hands-on haircutting classes with Rusk, and seasonal trade shows in Denver and Kansas City. 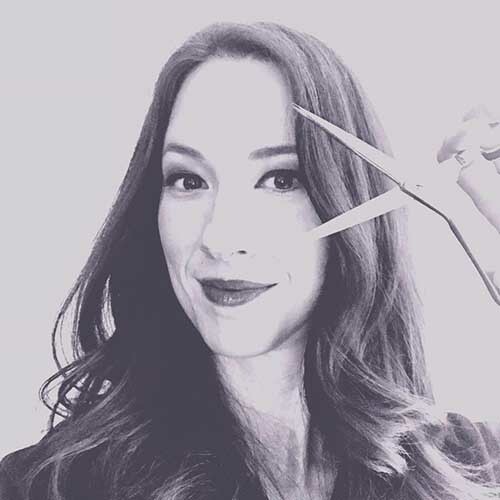 After moving to Denver from Kansas, she worked at Centre Aveda Salon and Antoine du Chez, where she had the opportunity to receive education and experience with Aveda, Kerastasse, and Kevin Murphy products. After living in Salida, Colorado for six years and operating a studio salon with her husband, Merlin, a Nationally Board Certified Massage Therapist, she decided to relocate with her family to Vermont to be closer to their family on the East Coast. She is beyond excited to join the team here at Orbit Hair Design! Meryl has a wide range of experience with both cut and color. Her goal is to find the right look for each person, based on hair type, texture, condition, and skin tone. She believes every person deserves a great hair experience. From the customized color, to the scalp massage, to the precision cut, to the final finishing details, she always strives to provide unsurpassed service. She views hair like fabric, and it is her goal to respect the integrity of the hair first and foremost. Beautiful hair is healthy, shiny hair that moves and falls into place with ease. It’s all in the details! Being a stylist allows her to be part stylist, part artist, part chemist, part therapist, and part magician. She loves working with people to help them find their perfect style!